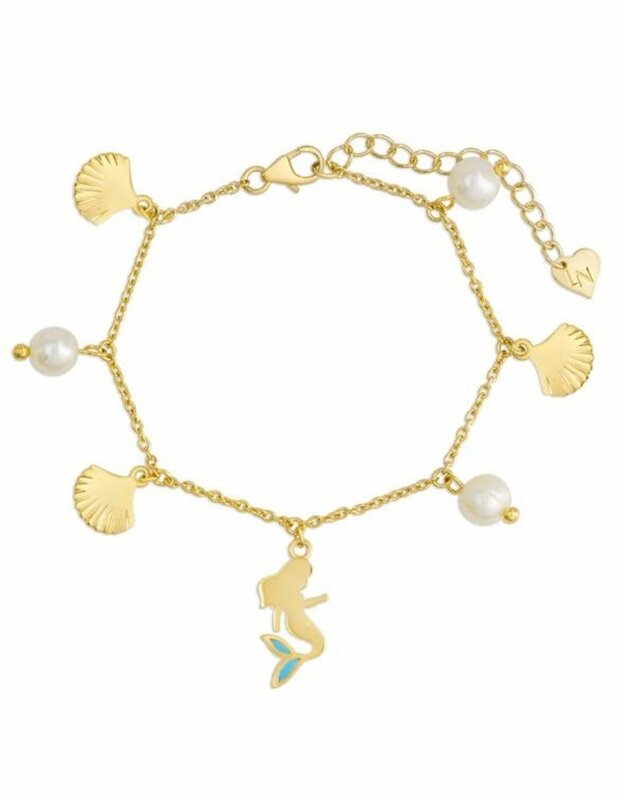 This beautiful charm bracelet is crafted of 18k gold plated sterling silver with a high-polish finish and features a mermaid with seashell and freshwater pearl charms. 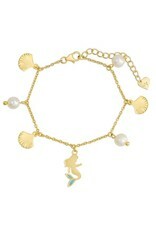 Bracelet is adjustable 5.75" - 7.25" and secures with a spring clasp. Comes in a charming gift box. Bracelet Length: Adjustable 5.75" - 7.25"